If your students are studying ‘Medicine Through Time’ then our medieval medicine workshop is the perfect supplement to it. We focus on the 4 humours, blood letting, surgery and the differences between physician and wise woman. We can also bring along medical items from later periods to show the students. Please see the list at the bottom of the page for details. It is particularly suited to those who find it hard to study from textbooks or as a revision aid for those studying medicine for exams. It is designed to be fun and memorable hence the use of a few modern props. In addition though, we also have a vast array of replica medieval surgical and medical items & charts! We explain to the students that the display is going to be very visual and interactive as this is a great way to learn and that we are going to get them to look at medicine and surgery through the eyes of medieval people. Looking at what they thought caused disease, why they thought this and how they tried to cure it. The four humours are an important thing to learn as they are relevant throughout much of the period which they are studying, so we focus on this in depth. They are quite a complex and tricky thing to explain just with words so we help them to understand by bringing forward some volunteers to act as the humours. We choose a student to be an average medieval man (and stick a nice medieval hat on them to demonstrate this), and then bring forward 4 further students to act as their humours. 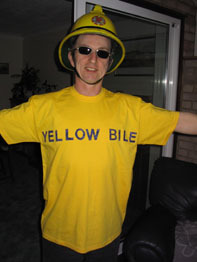 We dress one up in a red t-shirt with ‘Blood’ written on the front, one in a yellow t-shirt with ‘Yellow Bile’ on the front, one in a black t-shirt with ‘Black Bile’ on the front and one in a green t-shirt with ‘phlegm’ written on the front. Our medieval man currently has lovely balanced humours and is feeling very well indeed. However, if we bring up another volunteer as an extra yellow bile, thus giving him an imbalance of humours and too much yellow bile, his humours are now out of balance and our medieval man is asked to show how ill this is making him feel. Once the extra yellow bile is removed then he is feeling happy and healthy again! Easy! The humours aren’t as simple as this though so we now introduce the 4 elements. To each humour is handed an item to represent one of the 4 elements such as a snorkel & flippers for water and a firemans helmet for fire. Thus they can see very visually and memorably how each humour relates to each element. Again the 4 humours isn’t quite that simple, next we introduce the 4 seasons. 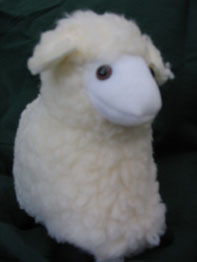 Each humour is given an item to represent a season such as a bleating lamb for Spring and a pair of sunglasses for Summer. The idea being that by seeing their friends dressed in such a way it is a good visual (and in some cases audio) stimuli to help them remember how the humours, elements and seasons all relate to each other. See the picture above for an example. It’s much easier to remember that Jason was Blood and was holding a bleating lamb and an aeroplane. They are instant triggers to memory. But of course the humours still aren’t quite this simple. How could you get an imbalance of a humour? What was the cause? This is where we explain the theory of opposites. Each humour was considered to have certain properties of Cold, Dry, Hot & Moist. Each of our humours is therefore given its relevant plaque, saying ‘Hot & Moist’, ‘Cold & Dry’ etc so the students can see how each of these properties relates to each humour and element. 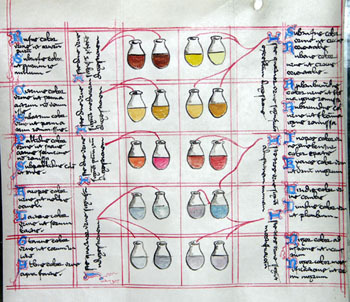 Blood is ‘Hot & Moist’, Yellow Bile is ‘Hot & Dry’ and so on. By placing this labels next to their relevant humours, elements and seasons it’s easy to see how they relate to each other and how much they make sense, for example, yellow bile relates to Summer and Fire which is considered ‘Hot & Dry’. Summer is of course a hot and dry time of year and fire is also hot and dry. When you have them put together like this it makes it much easier to see and remember. ‘The Theory of Opposites’ was suggested by a very important Greek doctor living in Rome, Claudius Galen. A student is bought up and dressed to represent Galen with a plaque ‘ Theory of opposites – 129 – 200AD’. 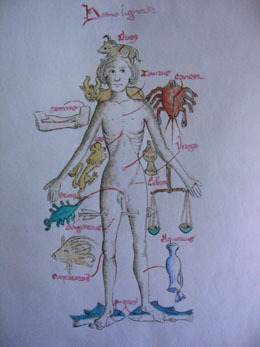 Even a thousand years after his death Galen was still being taught to physicians and was highly respected. We explain Galens theory of opposites and explain that food was one cause of an imbalance in the humours but it could also be a cure. Each food was considered to have different properties such as cold & moist. To demonstrate this we give each humour examples of the kind of associated foods such as lettuces to phlegm and butter to blood. We then give our medieval man too much ‘Hot & Dry’ food like onions and bring forward our extra ‘Yellow Bile’ to demonstrate that this has caused an imbalance and that our medieval man is now looking rather sickly. How would the students redress this imbalance? They have to work out how to rebalance his humours by suggested giving him some nice ‘Cold & Moist’ food such as lettuce. The humours have now been successfully rebalanced! Simple! So what other ways would they treat an imbalance of a humour? A very common way was by blood letting. We explain the various ways that the surgeon would have bled his patients. Firstly we bring forward the live medicinal leeches and describe how leeches were used. With 5 eyes, 300 teeth and 32 brains and no bones in their body they are very unusual creatures. 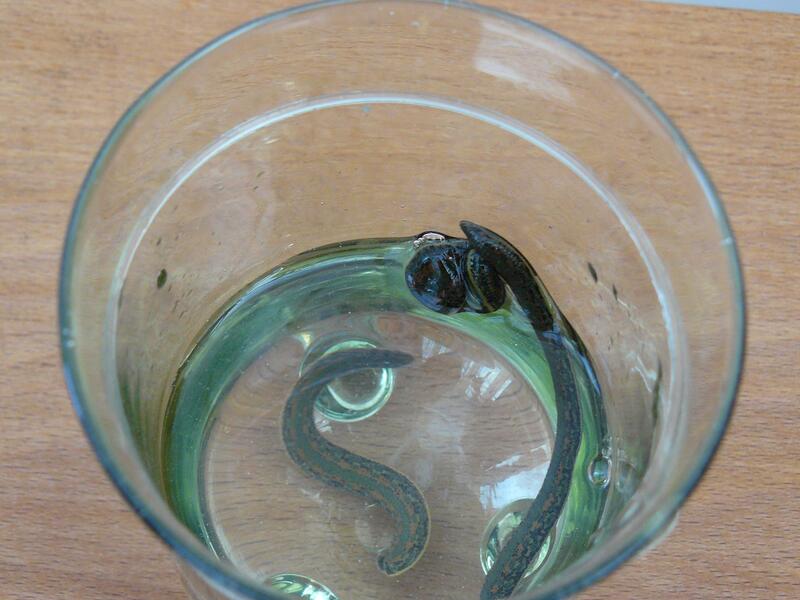 Each leech produces an anaesthetic as well as an anti-coagulant when it bites its victim. 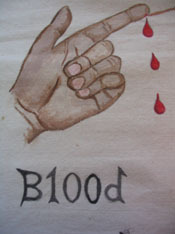 Purely used for bloodletting in medieval times, nowadays are used in many ways including for reattaching bits of the body and for synthesising drugs for heart patients. We demonstrate bleeding with a knife and bowl using our fake blunted surgical instruments. We show them the medieval blood letting man and demonstrate how they would have drained the blood. We then go on to talk about the more milder form of blood letting by the use of cupping glasses. What other ways would the surgeon relieve you of an excess of humours? A very common way was by purging, giving you an enema using the clyster pipe. The greased clyster pipe would have had a cleaned out pigs bladder attached and filled with herbs, honey and water and would have been administered as an enema. We ask for no volunteers for this! 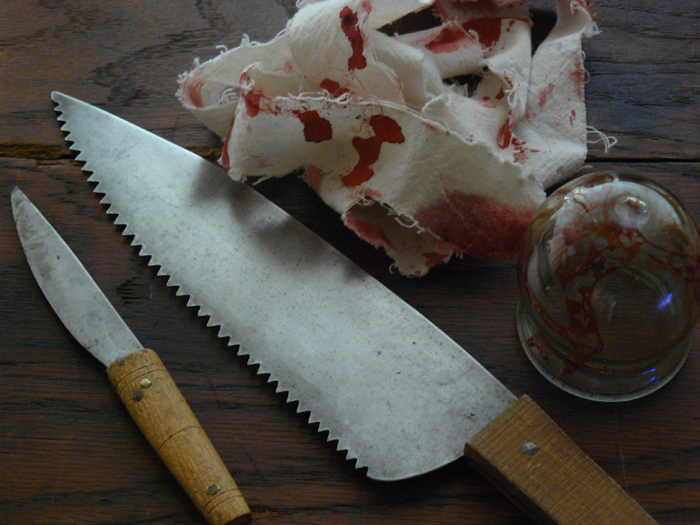 Bleeding and purging were both very popular during medieval times. Most people however felt that a lot of diseases could be treated with medicines usually made from herbs and spices. But who you obtained your diagnosis or medicines from depended on your social status. In this section we invite another student to be a medieval man who is suffering from an illness and wants to find out what’s wrong. He is a Goldsmith in the town and is therefore neither very poor nor greatly rich. He therefore has to decide who he would like to treat him and listens to the local physician and wise woman as they debate between each other about their particular skills and knowledge and why the patient should choose them. The students are then asked who they would choose, the expensive but qualified physician with his training in mathematics, music, rhetoric and astronomy or the cheap wise woman who has gained her knowledge from years of making herbal remedies but perhaps puts a little too much faith in her prayers and magical charms. The physician will diagnose the patients urine and puts forward his prognoses of the patients (it’s red not a good sign! ), whilst the wise woman pedals her tried and tested herbal remedies and charms’ Just say 3 Ave Marias and everything will be fine’! Real wise woman and physician cures from the time are put forward. Of course as there were so many wars in the medieval period there were always lots of soldiers in particular who needed treatment. Every King would take plenty of surgeons with him when he went on campaign to treat his men. There were many nasty bladed weapons at this time and guns had just been invented. We demonstrate how an amputation was undertaken, with a curved knife, bone saw, hot cauteries and perhaps no pain relief. We also demonstrate trepanning, tooth pulling, the treatment of tooth worm, arrow extraction with the famous Bradmore extractor and explain what a wound man was used for. The medieval grasp of anatomy was very basic and they were not great surgeons. We summarise the talk and reveal that in medieval times the average life expectancy was early 30s and many students would not have got past their 5th birthday. Many women died in childbirth and many people did not even reach adulthood. Today thanks to advances in medicine they can expect to live into their 70s or 80s on average. Students are invited up at the end if there is time to have a closer look at some of the replica items. We also own a selection of later medieval items from Victorian period onwards, which we can bring to show the students if time is permitting. We own a Holloways ointment pot, electric therapy machine, victorian surgeons set, carbolic vaporisers, old packets of pills, Dr Macauras pulsator, 1940s midwife kit & much more.